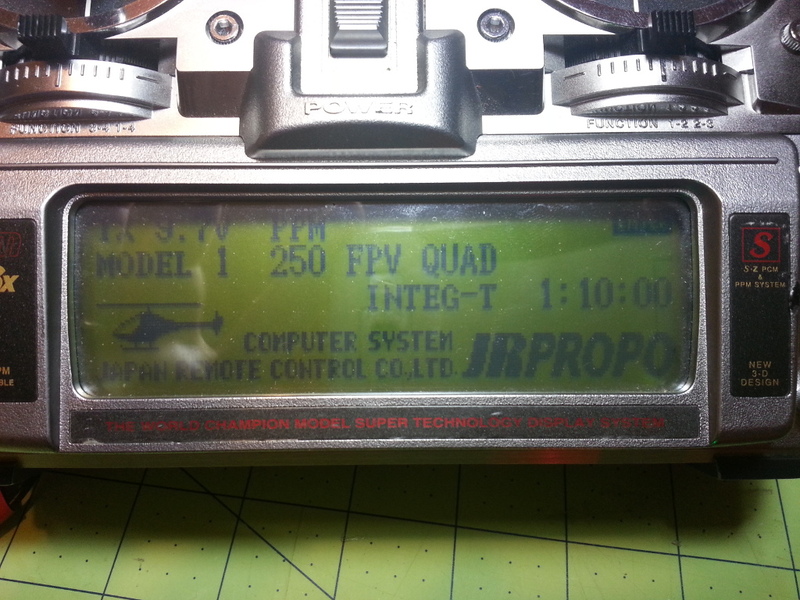 I recently got a JR10SX Heli as part of a trade. It was a great radio in it’s day. 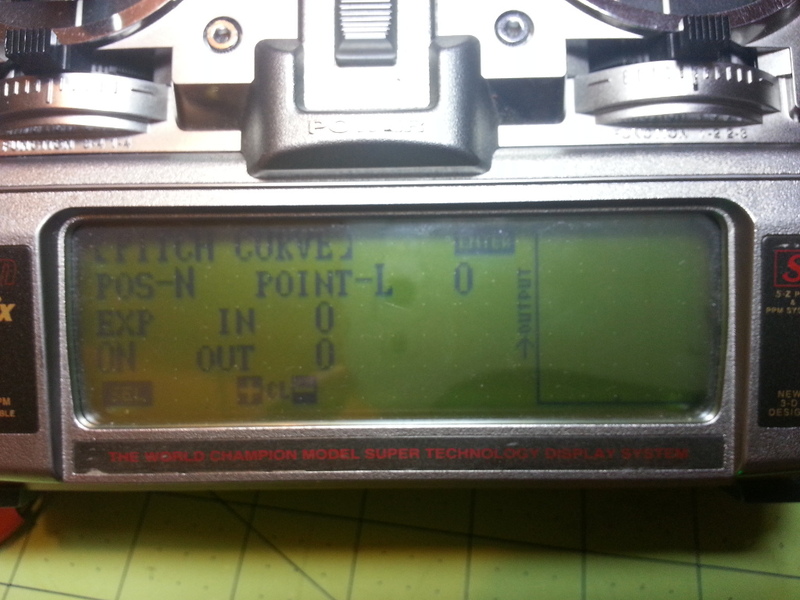 I pulled out the 72 mhz module that was in it and replaced it with the Frsky 2.4 ghz with Telemetry. You have to change the module output to PPM. It seems to work great with good range. 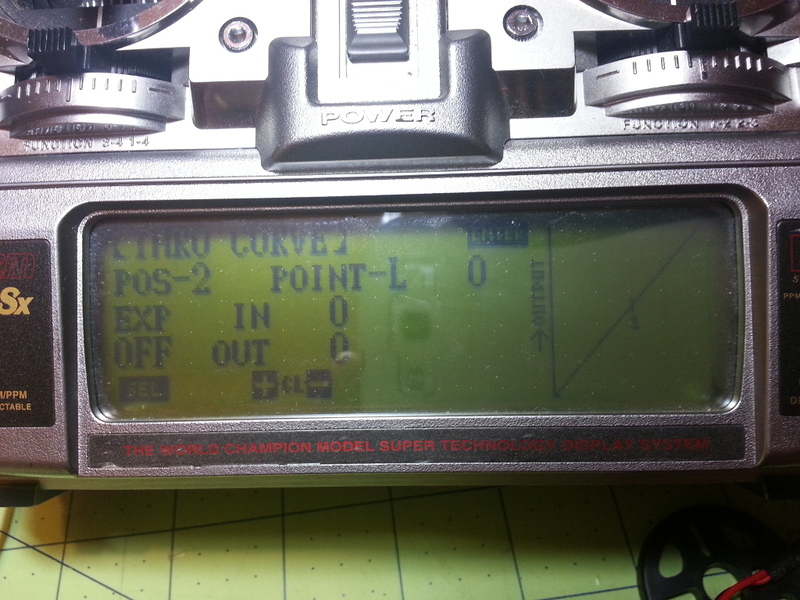 There were a few issues with the JR10SX Helicopter edition. I wanted to use the JR10sx for a quad I was building. 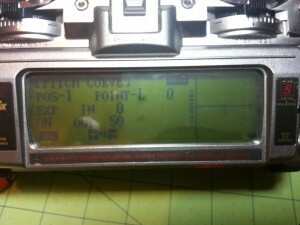 The JR 10sx Heli is has channel 6 set up for pitch. 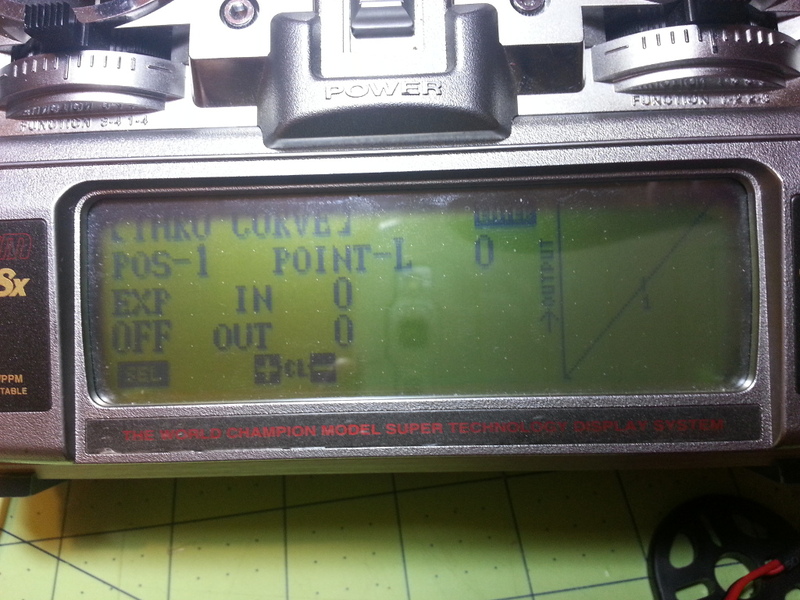 I have found no way to change the use of the channel. I have found a work around for this issues. Here is what I did. Start at the main page, I have the name already set for the new quad. 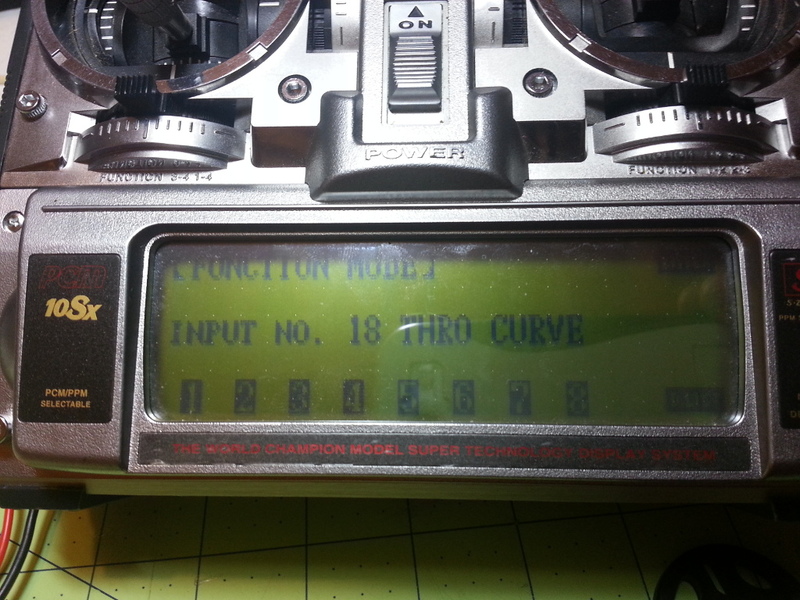 Hit enter and select 18 for throttle curve. 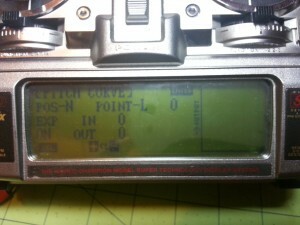 Now check your throttle curves and make sure they are all straight for positions N,1 and 2. 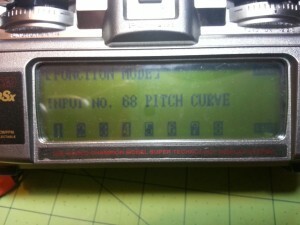 Next select 68 for Pitch curve, here is where the magic happens. 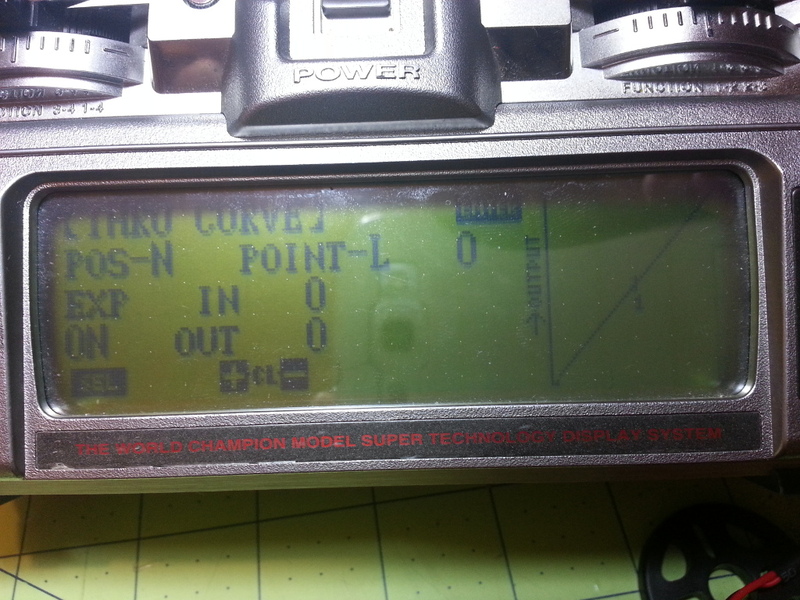 Now set the Fight Mode switch to N set the pitch curve to 0 for all points in the curve. 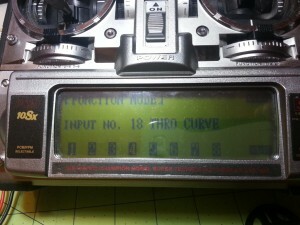 Change the Flight Mode Switch to position 1 and set the pitch to 50 points in the curve. 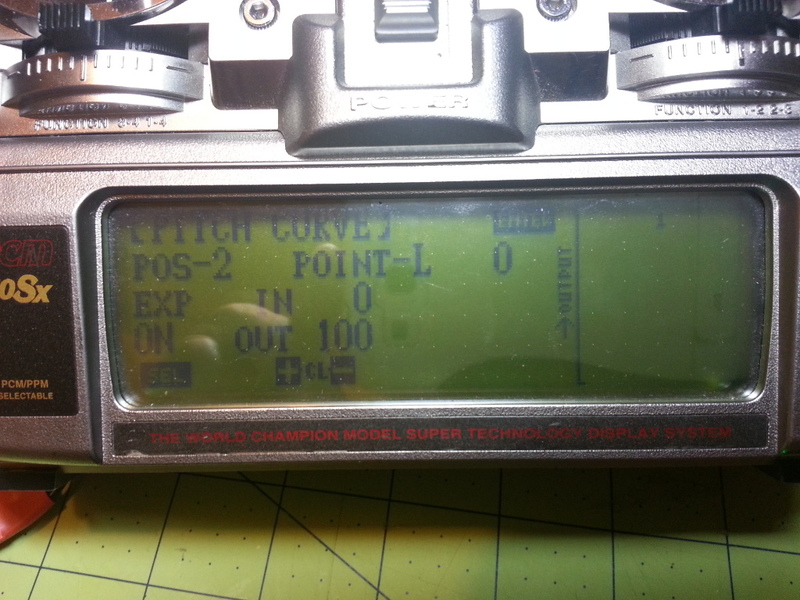 Last change the Flight Mode Switch to position 3 and set the pitch to 100 points in the curve. Now your Flight Mode switch will act as a 3 position switch that is not controlled by the throttle at all. I use N for stable flight, 1 is GPS hold, and 2 is return to home. Don’t get rid of those old controllers.